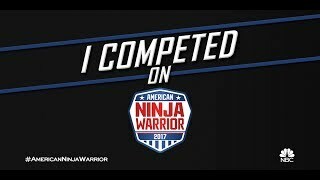 Get ready for a special week with American Ninja Warrior host Matt Iseman and Ninja Warrior competitor PJ Walsh. Best of friends and comedians for over twenty years Matt and PJ are bringing their style of “Working Class Comedy” to Virginia Beach. Matt, a Princeton graduate and former doctor (yes… a doctor!) and PJ, a US Navy veteran and member of the White House Dental Team (yes… the White House!) share a love for making people laugh and respect for any audience that puts gas in their car, purchases tickets, gets a babysitter (or just leaves the baby at home alone) & spends an evening at their shows. It’s your time off work and their time at it. Don’t miss out on these nights of jokes, storytelling & friendship! Matt Iseman’s first love (before American Ninja Warrior) and the thing that convinced him to give up a career in medicine is stand up comedy. A national headliner for over a decade, Matt’s natural enthusiasm always shines through. His humor is molded largely from the 80’s and a reluctance to becoming a responsible adult. Matt squared off against 15 other celebrities, all representing their favorite charities while vying for the title of “The Celebrity Apprentice.” In the end, the new Boss, the twice-elected California governor and international movie superstar Arnold Schwarzenegger, selected Iseman to be his Apprentice. Along the way, Iseman impressed world-class business minds, including Warren Buffett; former Microsoft CEO and Los Angeles Clippers owner Steve Ballmer, business magnate Tyra Banks and Honest Company CEO Jessica Alba. Well, he impressed most of them. Iseman was diagnosed with rheumatoid arthritis in 2002, so this Emmy-award winning host and licensed MD fights for his charity close to his heart: The Arthritis Foundation. PJ Walsh’s comedy has carried him around the globe, from the Winter Olympic Games, to over 25 overseas tours entertaining U.S. troops in several countries including Iraq & Afghanistan. PJ’s years touring with the stars of the Blue Collar Comedy Tour found him performing on celebrated stages including Radio City Music Hall, Universal Amphitheater and the Ryman Auditorium. He currently can be seen in “Larry Charles: Dangerous World Of Comedy” on Netflix. PJ was included on the HillVets list of the 100 most influential personalities on veteran issues and placed #1 on The Laugh Button comedy website’s list of veterans turned stand-up comedians. When not headlining comedy venues across the country, PJ is committed to raising funds and awareness for veterans and their families. He is on the advisory board for The Armed Services Arts Partnership, a non-profit offering classes, performance and partnership in the arts for veterans, active duty service members and their families. He also participates with and supports the successful non-profit World T.E.A.M. Sports, which organizes athletic events that bring disabled and able-bodied participants together.